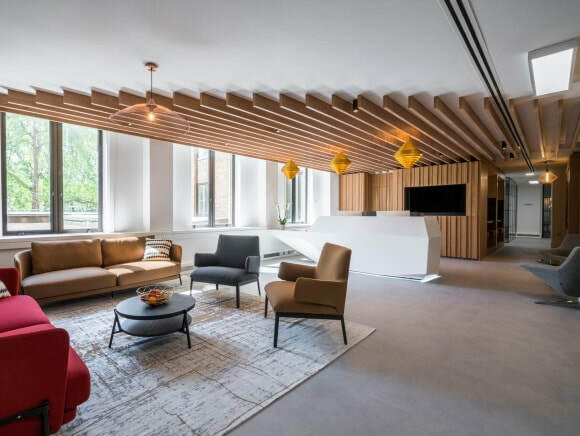 Berkeley Square House Business Centre is within a modern building and offers a broad range of features including lounge areas and boardroom hire. 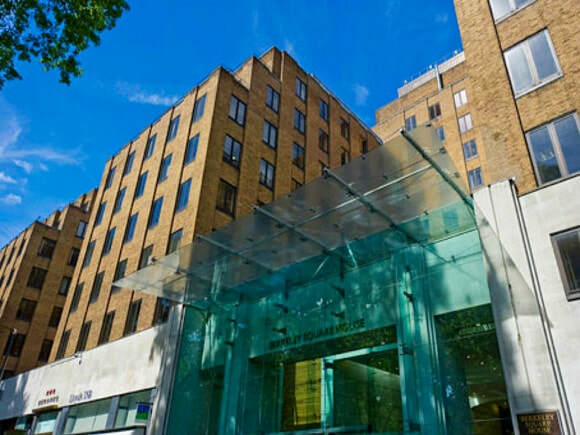 Situated in a beautiful garden square in the West End of London, these serviced offices are available to rent in a choice of sizes and are ideal for companies that have future expansion plans. All of the suites within the property are completely set up with furniture, internet access and phone lines, and ready to use or move into immediately if necessary. For businesses that have clients or associates that regularly visit, these offices are probably ideal as it has a welcoming staffed reception with a waiting area. The building has security systems in place including CCTV and there is lift access to each floor. Transport for the area is excellent and local amenities are plentiful with Oxford Street and Piccadilly Circus on your doorstep.